Right now, this dish is his favorite. It's the one that other chefs order when they come to Fleur de Sel. And it's one that is new for so many guests. For co-owner/chef Laurent Zirotti, his take on the French classic sweetbreads and morel mushrooms — added to the menu this spring — is less a nod to the foreign and more about nostalgia. 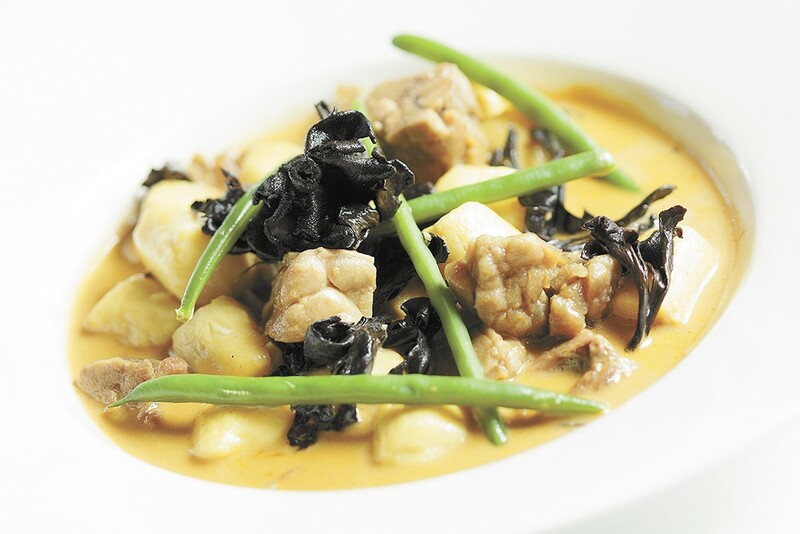 In Zirotti's version, a shallow dish comes with sautéed sweetbreads, Parisian gnocchi, Oregon black trumpet mushrooms and green beans in a brandy cream sauce. Each food element, flavor and texture is selected to complement one another. You can eat it with just a fork. 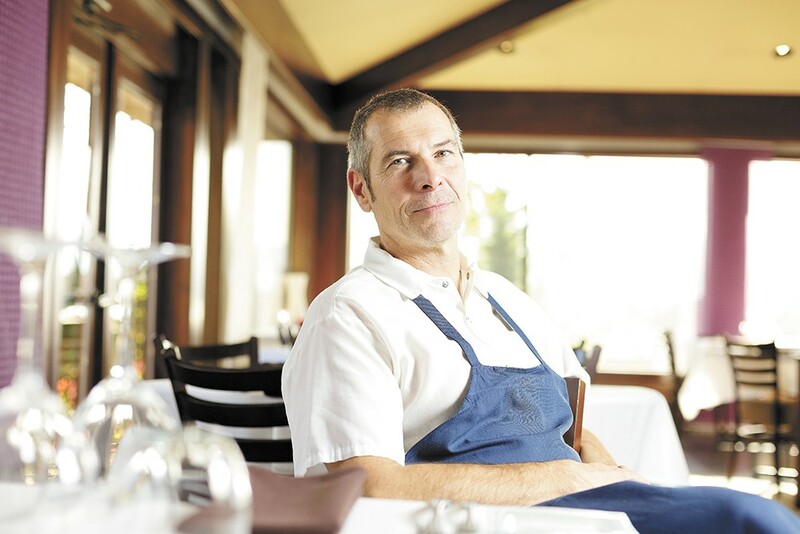 "This dish has everything," says Zirotti, 50, sitting at his restaurant's bar last month. "There's the crunch of the mushroom, cream of the gnocchi, and sweetness of the sauce." But the star is the main ingredient, the sweetbreads. As always, the Frenchman, who went to cooking school in the French Alps at just 15, starts an idea for a new dish by first selecting the protein. He was drawn to sweetbreads, as they're not often used at area restaurants and he considers them a comfort food. Sweetbreads — not to be confused with sweet breads, like a croissant — are the thymus glands and pancreas of a calf or veal. Zirotti uses beef or, if possible, veal. The meat has folds similar to brains, but differ in taste from other organs. "Sweetbreads, it depends on how they are they prepared; it's a mild flavor," Zirotti says in his smooth French accent. "It's not like liver or heart that have a lot of iron or steel flavor, it's more mild, and sauce makes it good — although you can eat a piece of wood with a good sauce." The classic preparation of this dish, the process you'd learn at a French cooking school, includes morel mushrooms, but dried varieties can run $175 a pound. Instead, he added trumpet mushrooms, which can be used more cheaply year-round and are also steeped in memories. "I didn't do a lot of things with my dad, but one Sunday, I was 6 or 7, we went looking for mushrooms in the forest," recalls Zirotti of his Italian father. "He showed me what they look like; we called them black trumpets, because they're black. We separated; I found a place that seemed like an acre, a prairie of black trumpets. I shouted, and he came to me and was amazed." The pillow-like and quick-to-melt Parisian gnocchi fit in the dish perfectly, Zirotti says. There are no potatoes or cheese in them, like the Italian version. Instead, it's poached cream-puff dough made up of flour, water, butter and eggs. The recipe is finished with a decadent cream sauce cut with brandy. Green beans bring a pop of color. Zirotti doesn't always think about cooking or creating. The restaurant is closed two days a week for a reason; he and his wife/co-owner Patricia often go out to their remote cabin. But about once a month, the restaurant hosts wine dinners, pushing Zirotti to continue work on new recipes. The sweetbreads dish was first introduced there. "I put all of my heart into a dish," he says. Zirotti says that people view French food and restaurants as being cocky and expensive, with small portions. But that's not what he's trying to do at Fleur de Sel. The sweetbreads dish is $15.